TASA: TRACE Anti-Bribery Specialist Accreditation® is a comprehensive and rigorous year-long training and accreditation program that offers a professional credential for anti-bribery compliance specialists. The accreditation enables professionals working in this growing field to distinguish themselves with demonstrated anti-bribery compliance expertise. The program is designed to be completed online and offers more than 100 courses taught by a world-renowned faculty of industry and subject matter experts. 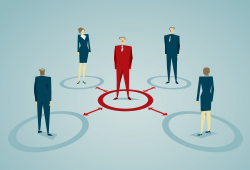 Candidates may self-select a specialization by region (LatAm, Europe, AsiaPac), subject matter (Business Integrity & Risk) and/or industry expertise (Oil, Gas & Energy, Financial Services, Life Sciences, Aerospace & Defense, Tech & Telecom) better preparing them to add real-world value to organizations. The accreditation is awarded by TRACE, the internationally recognized anti-bribery standard setting organization, and supported by the TASA Advisory Committee. 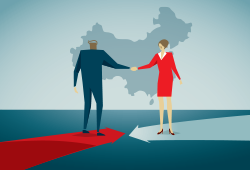 During this session hear from Bingna Guo, Partner, Beijing/Shanghai at White & Case LLP as she provides best practice compliance recommendations for multi-national organizations who currently (or seek to) maintain business operations in China. Building upon her extensive experience in international anti-corruption investigations and compliance matters both in the US and China, Ms. Guo will address recent trends in local bribery enforcement in China and strategies for insulating your company against cross-border risks while also providing practical recommendations for ensuring your local business operations are responsive to local culture and custom without exposing your global business to risk of bribery enforcement. Bingna Guo has extensive experience in international anti-corruption investigation and compliance matters, cross-border litigation, international commercial arbitration and mediation, regulatory matters, crisis management, and complex commercial litigation. Bingna represents companies and individuals in internal investigations and enforcement actions, including FCPA/anti-corruption related investigations, fraud, embezzlement, conflicts of interest investigations, compliance risk assessment, and pre-transaction compliance diligence. She also advises companies on comprehensive compliance programs and trainings. Bingna has litigated cases in various legal jurisdictions, and provides clients with strategic and case management advice for parallel proceedings involving multiple jurisdictions. She formerly worked in the litigation department of a leading Chinese law firm under secondment, where she litigated cases before Chinese courts. Bingna has extensive relationships with leading local counsel, and is able to effectively coordinate local litigation and counsel on litigation and dispute resolution proceedings in China. Prior to joining White & Case, Bingna was a partner of another leading US law firm. Bingna has been recognised by Chambers & Partners 2018 in Corporate Investigations/Anti-Corruption – China. During this session benefit from an overview of the unique anti-bribery compliance challenges posed by joint ventures as you are provided with insights into what steps global multi-national companies can take to mitigate such risks. Also addressed as part of this session, Mr. Abikoff will provide specific guidance on how to engage in a joint venture with a state-owned enterprise in a manner that will minimize your organization’s anti-bribery risk exposure. Kevin T. Abikoff is a Partner at Hughes Hubbard & Reed LLP where he also holds the positions of Deputy Chair and Co-chairman of the Anti-Corruption & Internal Investigations and the Securities Litigation practice groups. Also a member of the Executive Committee, Mr. Abikoff possess extensive experience in securities and white-collar criminal litigation, enforcement and regulation with an emphasis on the representation of corporations, individuals and other entities in anti-corruption (including Foreign Corrupt Practices Act [FCPA]) matters (investigations, due diligence and counseling), securities and insurance litigation, regulatory, enforcement and arbitration proceedings, particularly class-action litigation, securities disclosure counseling, and designing and implementing insurance and securities compliance policies, procedures and programs. Mr. Abikoff has also represented clients before the World Bank Group and other international financial institutions sanctions matters, including compliance, inspections, investigations, settlements, cooperation, coordination with monitors, and litigating contested sanctions proceedings. Additionally, Mr. Abikoff possesses experience in matters of corporate governance with an emphasis on shareholder derivative proceedings, conducting internal investigations, counseling board committees, and designing and implementing corporate compliance program. Presenters: Lia Alizia, Managing Partner, and Rudy Andreas Halomoan Sitorus, Senior Associate, Makarim & Taira S.
Led by both Lia Alizia, Managing Partner, Makarim & Taira S. Counsellor at Law and Rudy Andreas Halomoan Sitorus, Senior Associate, Makarim & Taira S. Counsellor at Law; this course you will benefit from a firsthand overview of the current state of anti-bribery regulation and compliance in Indonesia. Providing both a legislative and regulatory history of the development of anti-corruption law locally, the course instructors will share insights into the causes of corruption in Indonesia, how Western anti-bribery law concepts apply, as well as recommendations for spotting red flags, improving accounting policies and putting in place good corporate governance and compliance. Lia Alizia is a talented lawyer, litigator, a leading advisor to many top businesses worldwide, and also one of the country’s foremost legal practitioners, having been involved in some of the most high-profile matters over the years. She is a Partner in the Corporate, Commercial, and Litigation and Dispute Resolutions departments of M&T. She provides expert advise and oversight in large, complex corporate negotiations, and brings over 18 years of experience in managing legal aspects of commercial, transactional and corporate governance matters. 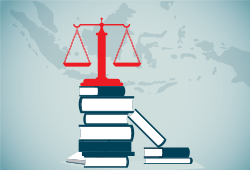 Lia adheres to strict ethical principles when representing clients before Indonesian courts and arbitration panels. Her practice does not only focus on litigation but also aims to provide advice to clients on how to minimize potential risks related to employment, anti bribery, anti corruption and litigation issues. She is a sworn translator, author of a number of significant publications, and often speaks at local and overseas seminars and training programs on employment, litigation and corporate matters. Lia is a Highly Recommended lawyer in Employment by Chambers and Partners Asia-Pacific, 2017-2019; and is also recently recognized as a Rising Star by IFLR1000 2019. She is one of Indonesia’s A-list lawyers by the Asia Business Law Journal’s Top 100 Lawyers in Indonesia in 2018 and 2019, and is a Leading Lawyer for Intellectual Property, and Labour and Employment by Asialaw, 2017-2018. She is a Dispute Resolution Star in Commercial and Transactions, Intellectual Property, and Labor and Employment by Benchmark Litigation Asia-Pacific, 2018, and won the Woman Lawyer of the Year awards by the Asian Legal Business Indonesia Law Awards in 2017. Rudy Andreas Halomoan Sitorus is a Senior Associate in the Litigation & Dispute Resolution department. He has extensive experience in handling various litigation and dispute resolution cases including civil litigation, criminal litigation, arbitration (domestic & international), bankruptcy & delay of payment, land disputes, terminations of employment, police investigations into the allegation of environmental crimes, and anti-corruption investigations. He also assisted and advised the clients on compliance & anti-bribery and corruption issues as well as general corporate and commercial issues. Rudy is a member of the Chartered Institute of Arbitrators (MCIArb) and has also authored a number of significant publications. He has also been named as a Next Generation Lawyer (Dispute Resolution) by the Legal 500 Asia Pacific 2019. 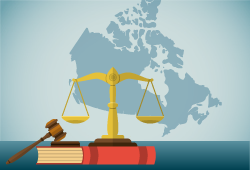 This session will provide a comprehensive overview of the current anti-bribery compliance landscape in Canada, including comparisons to other jurisdictions, enforcement trends, Canada’s role in international anti-corruption initiatives, as well as practical compliance recommendations for multi-national organizations operating in Canada. Mark Morrison is the co-chair of Blake, Cassels & Graydon LLP's Business Crimes, Investigation and Compliance Group. His practice focuses on anti-corruption compliance, white-collar crime defence, and internal investigations. Mark regularly advises Canadian and multinational corporate clients on compliance with domestic and international anti-corruption legislation, undertakes internal investigations, assists clients with anti-corruption due diligence during mergers and acquisitions and has successfully defended complex Criminal Code anti-corruption cases. Mark has undertaken numerous internal investigations and assisted companies in resolving anti-corruption issues arising from conduct in Africa, Central America, South America, Eastern Europe and Asia. Mark was a finalist in the Benchmark Canada Awards 2018 in the category of White Collar Crime Lawyer of the Year and is widely recognized as one of Canada’s leading investigations and white collar crime lawyers including in Chambers Canada: Canada's Leading Lawyers for Business 2019 (White-Collar Crime & Government Investigations), in Benchmark Canada: The Definitive Guide to Canada's Leading Litigation Firms and Attorneys - (Litigation Star - White Collar Crime), in Who's Who Legal Investigations, in Who's Who Legal: Canada (Business Crime Defence, Investigations), in Who's Who Legal Business Crime Defence (Corporates, Individuals), in Legal Media Group's Guide to the World's Leading White Collar Crime Lawyers, in The Best Lawyers in Canada (Product Liability Law), and in Global Investigations Review: GIR 100. 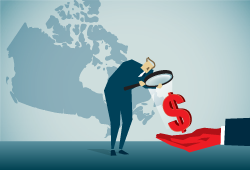 In 2013 significant amendments to the Canadian Corruption of Foreign Public Officials Act (CFPOA) were undertaken addressing key issues including facilitation payments which have recently been removed from the Act. During this session, hear from Senior Investigator and Anti-Corruption Outreach Coordinator of the RCMP National Division, Vladimir Napoleon, as you are provided with a comprehensive overview of the amendments and current state of enforcement as well as an overview of the jurisdictional and regulatory authority of the Royal Canadian Mounted Police (RCMP) within the corruption and bribery investigative context. During this session benefit from a comprehensive update on the current state of the law in Australia, and developments that bring business and human rights regulation squarely into the Australian regulatory landscape. It will provide an overview of recently enacted modern slavery reporting laws at both the Federal (Commonwealth) and State (New South Wales) level. These laws impact companies operating in Australia, requiring them to conduct due diligence on their operations and supply chains and report on findings. In addition, the session will touch on best practice recommendations for ensuring compliance with the new regulations. Building on my background as an experienced corporate lawyer, I advise clients on evolving corporate governance matters, including ESG (environmental, social and governance), directors' duties in managing multiple stakeholder interests and the intersection of business and human rights. I have a particular interest in governance in the financial services sector. I keenly follow developments in corporate governance laws and practice in Australia and internationally. I draw upon the latest thinking in this area when advising clients on governance issues and transactions. I have been recognised in Chambers Asia Pacific guide as a leading individual, cited as a "very practical and commercial lawyer" who "understands what it takes to get a deal done". TASA has been designed to provide a comprehensive knowledge base for those seeking subject matter expertise in anti-bribery compliance. The accreditation process requires candidates to complete 20 hours of coursework along with passing two examinations to ensure knowledge retention. To attain accreditation candidates must complete the 20 hours of coursework and both Phase examinations within 12 months of entering the program. Divided into two substantive phases- Phase One: Fundamental Courses and Phase Two: Advanced Courses, there is a third optional phase of the program focused on specializations by industry, region and subject matter. The TASA program provides a core set of fundamental anti-bribery compliance courses along with a broad range of regional and industry specific topics. Substantive Expertise: Courses focused on a wide range of anti-bribery fundamentals including but not limited to corporate compliance, third party due diligence, books and records provisions, law enforcement, cross-border investigations, international organizations, whistleblowers, compliance audits and forensic accounting. Regional Expertise: Courses focused on anti-bribery challenges in specific countries including, but not limited to, China, Vietnam, France, Italy, Spain, Venezuela, Mexico, Russia, India, Brazil, Nigeria and Myanmar. Industry Expertise: Courses tailored for the oil, gas & energy, aerospace & defense, technology & telecom, life sciences, financial services industries and the international development community. Candidates are encouraged to design their own path of study of follow the standard two-phase structure detailed below. Employees of TRACE Member companies benefit from complimentary access to all live and recorded TASA: TRACE Anti-Bribery Specialist Accreditation® webinars and discounted tuition. Earn a competitive advantage and professional anti-bribery credential. TRACE is a globally recognized anti-bribery business organization and leading provider of cost-effective third party risk management solutions. Members and clients include over 500 multinational companies headquartered worldwide.